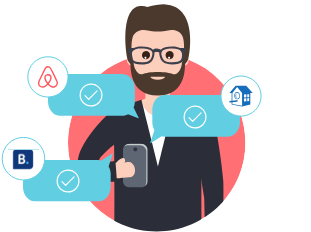 Enjoy the ease of listing your property on major vacation rentals websites like Airbnb, HomeAway and Booking.com with just one Your.Rentals account. 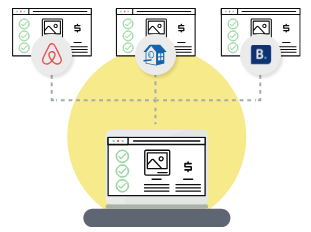 Upload your properties to Your.Rentals and publish on multiple rentals websites. All bookings, requests and payouts are managed through Your.Rentals. Everything in one place so you have more time to grow your business. Your listing photos, info and rental calendar are uploaded to Your.Rentals, and we distribute to your chosen sales channels. We update your chosen holiday rental channels with your latest prices and availability to eliminate the risk of double bookings. When a pre-paid Request or Instant Booking is received from a channel, we’ll let you know by SMS and email. We provide confirmation to your Guest and all you need to fulfil the booking. 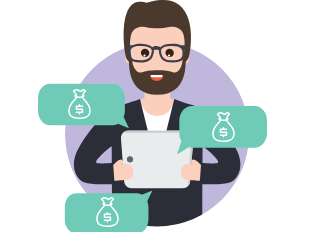 You’ll receive a payout to your bank or PayPal account. Simple yet powerful features to make your daily life easier. Step-by-step guided builder to finish your detailed listing in minutes. We’re here to help you every step of the way by chat, email or phone. 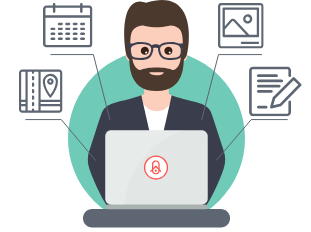 We give you total control over how you approve bookings. List on multiple websites without creating accounts, all from Your.Rentals. Avoid double bookings by keeping calendars automatically synchronised. Having only one commission to cover all channels is an amazing asset for me and my company. I gained in both quantity of bookings and organization to optimize my time. 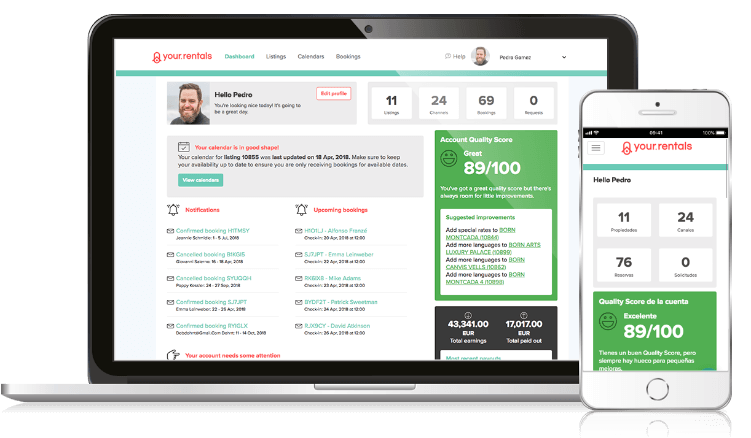 Your.Rentals easier to use, clearer and effortless to manage. Sign up today. No monthly fees.